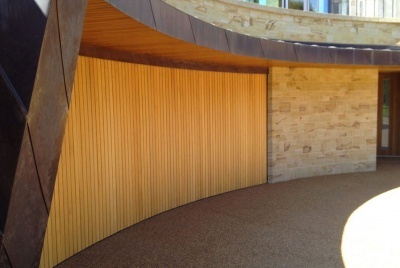 Clad one-piece up-and-over Rundum Meir doors that can merge with facades, and can include copper, aluminium, glass or timber. Rundum Meir Doors can be ventilated to allow airflow through them. Multi-user car park garage doors can be designed as side sliding garage doors or overhead garage doors for private or commercial applications. 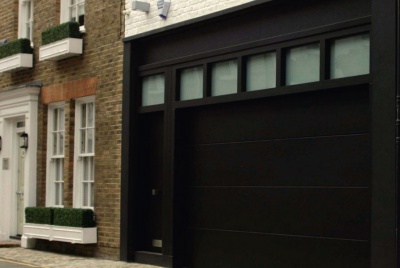 Rundum Meir have been designing and building hand made sliding garage doors for over 45 years. Every garage door is made to measure from your choice of materials and design, fitted by trained installers. 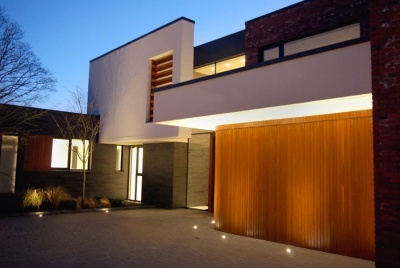 They offer a complete exterior sliding garage door systems service – from survey and design, through manufacture and installation, to maintenance. This also includes overhead sectional doors, one piece up and over doors, matching front doors, over-lights and glazed side panels. Unlike mass produced garage doors, Rundum Meir sliding and overhead garage doors are hand-made using high quality hand selected timbers. They specialise in working with designers and architects to find solutions or to fulfill high specification design requirements. 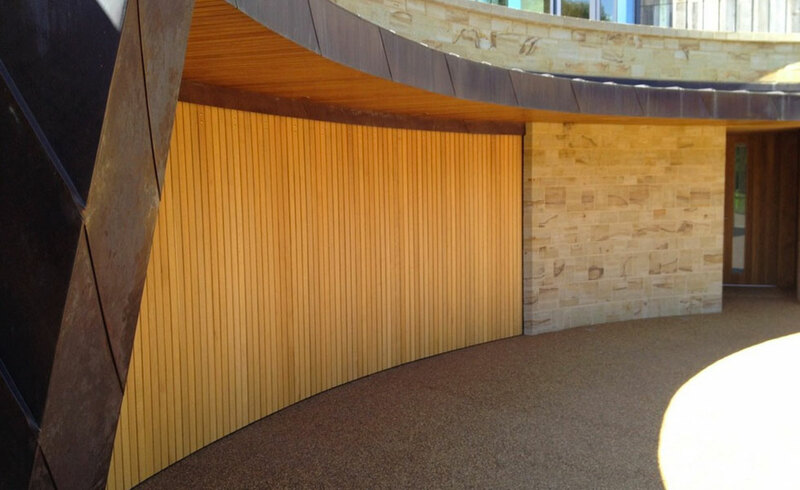 A wide range of timbers are available including oak, iroko, cedar, sapele and hemlock, materials such as copper, aluminium and glass finishes have also been used. Rundum Meir pride themselves on personal service and ability to provide design solutions, working closely with architects, clients, distributors and contractors.